If you and your family are remodeling your kitchen and / or bathroom, you	will need a skilled professional to handle your plumbing installations	or replacements. Here at Lion Plumbing, Inc., we are proud to offer Miami-Dade	and Broward county residents our services for remodeling projects. 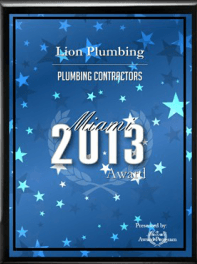 With	more than 30 years of experience, Lion Plumbing is here to help. You can count on our plumbers for professional, rapid installations. We	make sure that the entire project is completed correctly, so you can rest	assured that you and your family are safe and properly accommodated. Our team is available 24/7! We would be pleased to discuss your project with you, whether you are	handling a small upgrade or a total remodel. If you would like to schedule	an appointment or find out more about our services, please	contact us at (305) 597-4555.